Just remember that the kind of backpacker jobs you can do with a working holiday visa are temporary and seasonal, if you want to work in Australia . If you want to head out into the outback in search of employment you can expect to find farm work or fruit picking jobs. In Sydney or Melbourne you can find office work, bar work or waiting on tables, but many backpackers find employment in labouring, packing, or telesales too. Temp agencies can offer positions in every sector, but the important thing is to have your backpacker job options clear before you arrive. Summer time in Australia is a busy and popular time to look for part time and temporary jobs, as Christmas and New Year means that shops are recruiting extra staff for holiday jobs, and bars and restaurants are extra busy, and needing casual workers. 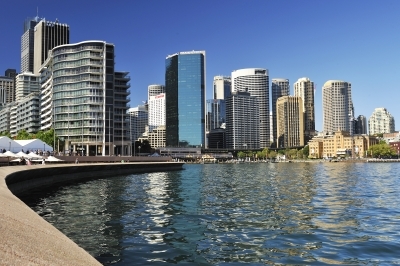 Summer jobs in Australia will largely focus on tourist and traveller industries. The Australian summer time is one of the busiest periods for tourism, with travellers from the northern hemisphere heading for some sun, so you can expect to find jobs in tourism and hospitality industries including hotels, resorts and theme parks. Fruitpicking and agricultural work goes on all year round in Australia, so you can always find some kind or work on farms or ranches, but just be aware that working outdoors in blazing heat can be a challenge! Outside the summer season in Australia you can find work in offices as a temp, and fruitpicking and agricultural work is available year round.